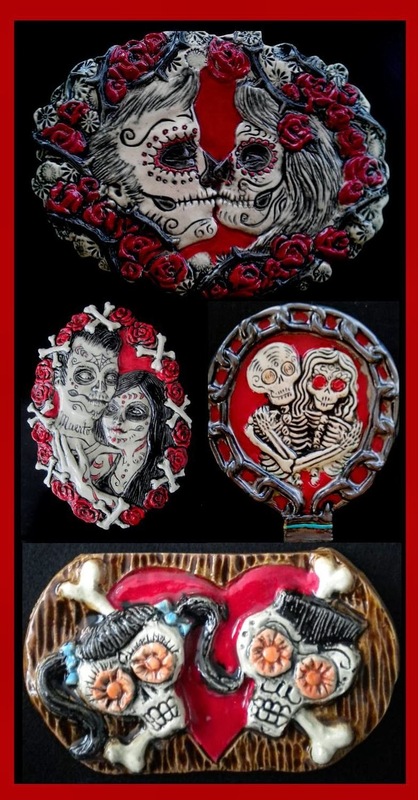 Tortuga Tile Works has many Day of the Dead tiles to choose from, but the most popular are always the romantic ones. Whether it is a depiction of a couple or two portrait tiles that go together, people like the idea of eternal love. This year I will be debuting the 2014 Valentine's love tile at the Indie Craft Bazaar at Revolution in Fort Lauderdale on Sunday February 9th. Usually the new love tile is kicked off at Retro Indie Market, but this year they aren't having that show, so I was glad that Indie Craft Bazaar scheduled a show for that weekend instead! There are many tiles to choose from and you can see them in the Valentine's Gallery on Facebook. Just send me an email at luru@tortugatileworks.com. I will be taking orders all this last week of January.